The milk bottle for our little ones Tango, Labé and Tya. Labé, confiscated at the end of June in Conakry, arrived the 1st of July at the CCC. She is now fully integrated with her 2 buddies! 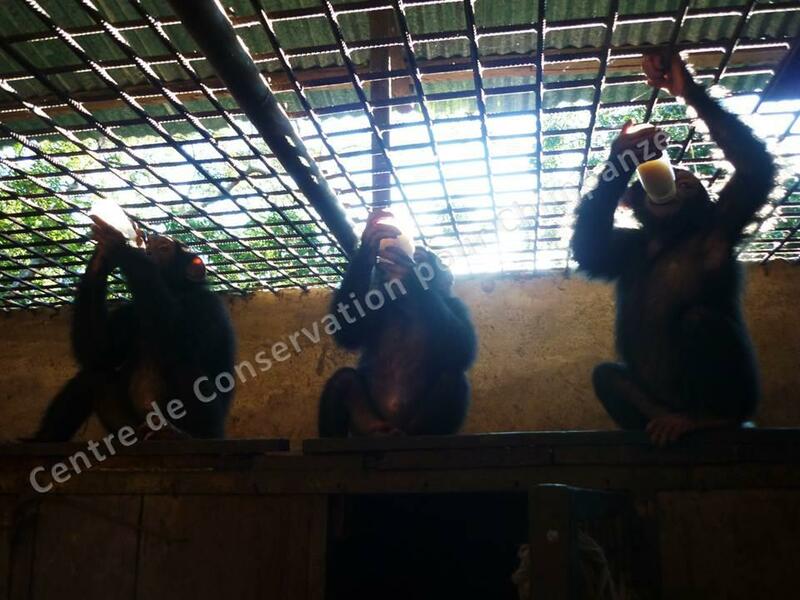 They spend 7h every day in the forest where they can play, eat wild food and learn to become chimpanzees!